The impossible has happened. One of my biggest and most un-attainable polish lemmings has been acquired at last. Lippmann Rehab. It was under kind of shady circumstances so I won't go into it (don't worry, I didn't steal it or anything, sheesh) but let's just say it didn't get into my hands easily. 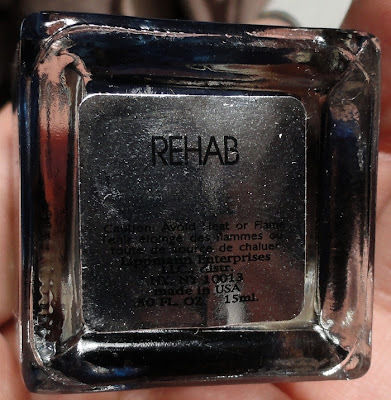 Rehab is the jelly to end all jellies. It's a sheer watery navy blue. At two coats there's a subtle wash of color and with four you get a deep punch of blue. I love it! It's everything I wished it would be. Of course, top coat has to ruin everything, there is tip-pull and bubbles :P Otherwise, this is perfect. LOVE!